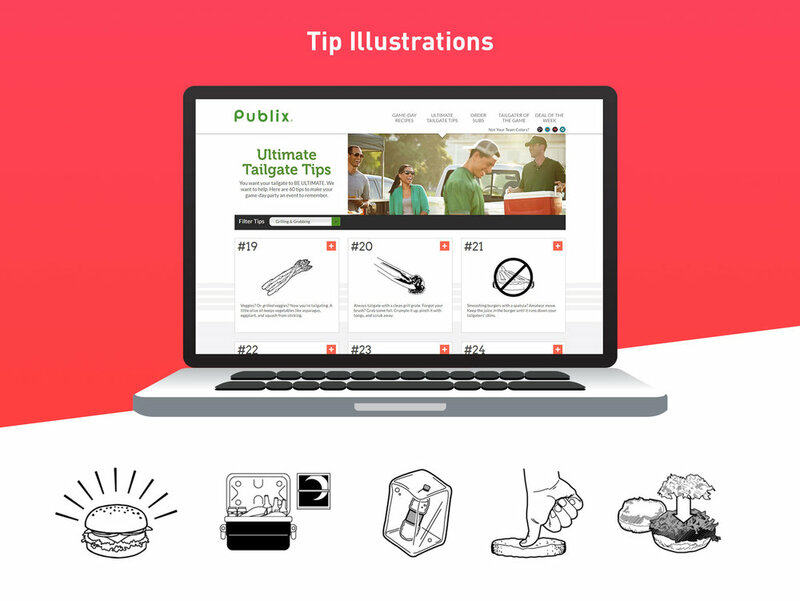 During my time at Hot Sauce, we were commissioned to create and maintain a microsite to support Publix's tailgating promotion. The microsite features tailgating tips, recipes, Tailgater of the Game, and team schedules for the Atlanta Falcons, Jacksonville Jaguars, Tampa Bay Buccaneers, and the Miami Dolphins. 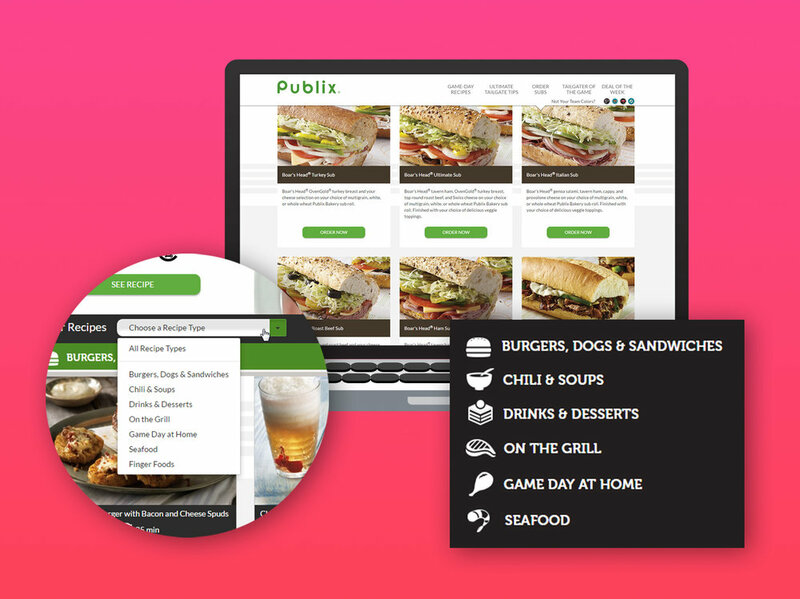 My role was creating a responsive web layout for the main page, tips, recipe list and team schedule, and applying Publix's branding toward establishing a design as well as designs to re-skin the microsite to feature one of the four highlighted teams. I also handled creating tip illustrations and food icons. The layout I created was subsequently adapted to feature other similar microsites supporting Publix's other sports tailgating related promotions.